Joya Logue got to explore the best of two worlds growing up. She was born and raised in a small Midwest town in the USA, but travelled overseas annually with her Indian father and American mother. It was during these holidays in Europe and India that she got to immerse herself in museums, galleries and local architecture which continues to influence her art-making today. One place that she visited regularly was Rajovilla, her father’s family home, which has become the name of the accessories label that she launched 10 months ago. 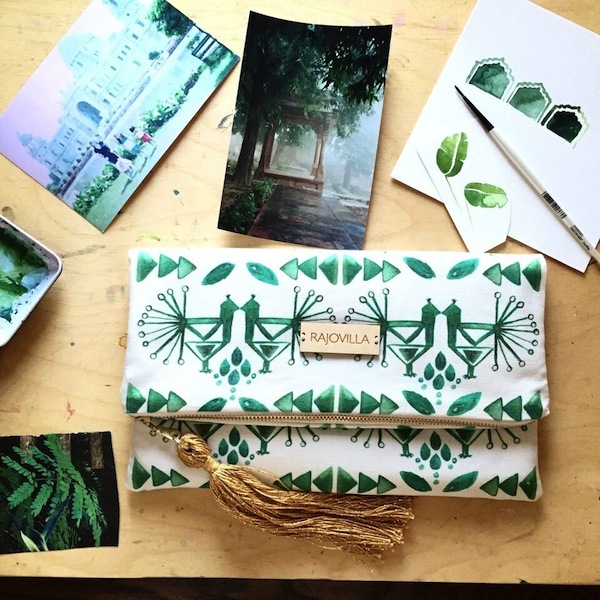 Joya creates clutches using her watercolour painting designs and hand-makes elements such as the tassels. 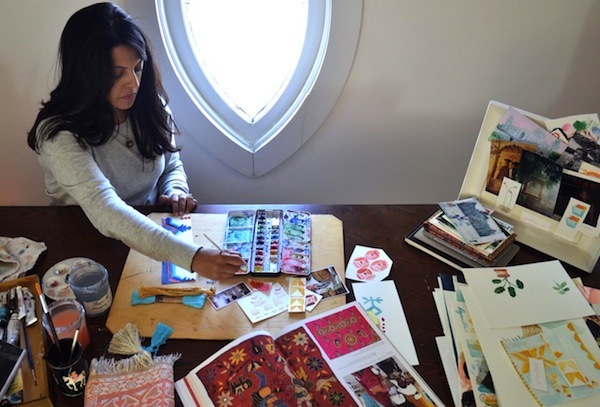 Despite a science education and spending many years in the pharmaceutical industry, she returned to her creative roots after starting a family. 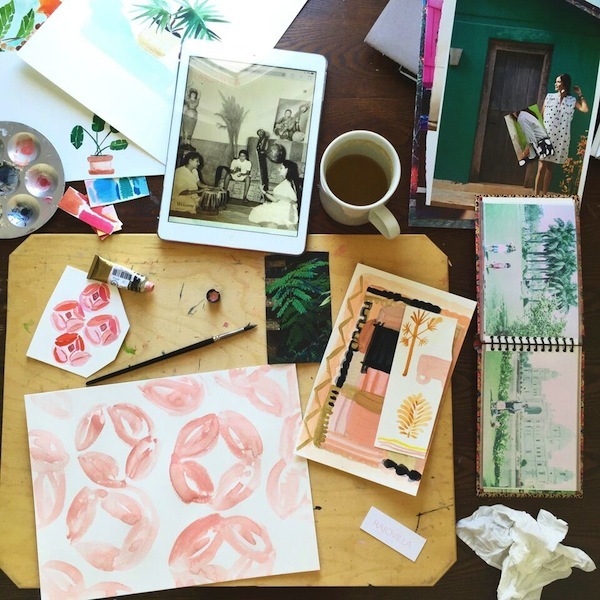 “I've always loved watercolor painting,” she says. “The way the paint moves on the paper, the various shades one stroke can make, layer upon layer with as much detail as one likes, and the delicate transparency the lightest shades can give.” Currently based in Cincinatti, Ohio, Joya’s work has been featured in Elle Japan, Vogue Japan and Real Simple. As well as her Rajovilla business, Joya has been receiving commissions for her illustration work from labels such as Mabo Kids in the US. Which five words best describe you? Creative, passionate, sensitive, determined, risk-taker. How did you get your career start and what path have you taken since? I have a science degree from an all women’s liberal art college. After deciding to leave a career in the sciences for my family life, I decided to pursue art and design. I began by creating a novel product and brand in the baby product industry, and started my own small company. It gave me a crash course in business, entrepreneurialism, international sales, marketing and, of course, product design. After the market went through some large changes, I decided to refine my business and focus on fine art and textile design. Within this new space, I felt complete freedom with no manufacturing boundaries to create beautiful, original art. I designed a set of textiles, drawing inspiration from my Indian heritage, and created a watercolor clutch collection for my brand, Rajovilla. My watercolor designs are a departure from traditional Indian-influenced textiles, and offer a modern and restrained aesthetic. My vision was to bring my watercolor designs to life through textiles, and make it into wearable art. What’s the best lesson you’ve learnt along the way? To be authentic and daring and not take things too personally. Taking chances is part of growing as an individual and artist. Whether people like your design, art or product will never be known if you don’t follow your dream and take a chance. What’s your proudest career achievement? With my art career in its infancy, every achievement is important to me. Every time someone purchases a watercolor clutch from me or asks to purchase a painting that is either not yet or not intended for sale, it is a proud achievement. What’s been your best decision? To say yes to as many opportunities as possible, and to share my artwork with others. Also, to believe in myself. Who inspires you? Selfless people, creators, inventors. What are you passionate about? My boys, my husband, art, watercolour painting, India, vintage textiles, healthy eating, good coffee, my faith, living an authentic life and practicing kindness. Which person, living or dead, would you most like to meet? I would love to meet my family from generations past. What dream do you still want to fulfill? I dream of partnering with a non-profit whose work is in India. 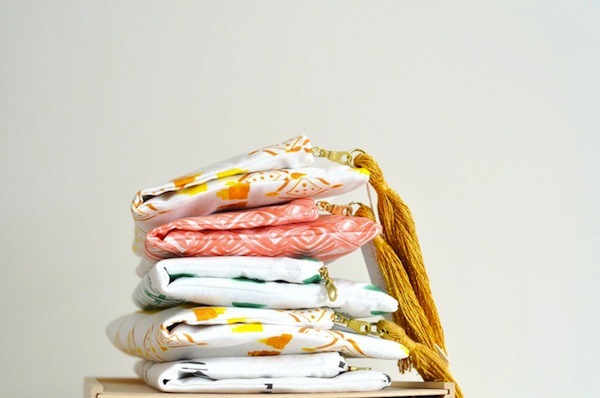 I would love to design a clutch that gives back to those in need. I also dream of going to India with the sole purpose to document through film, photography and art, our family home of Rajo Villa, as it slips away in its old age. Perhaps it would be a journey my youngest sister, who is a screenwriter and film director, would want to share with me. 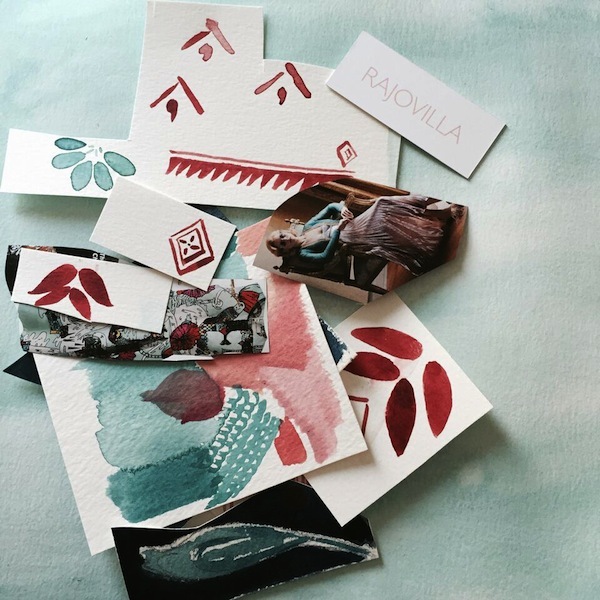 And I dream that I can continue to move forward with my art, and expand my Rajovilla collection. What are you reading? I just started reading Sea of Poppies by Amitav Ghosh. And, of course, the latest issues of Harper’s Bazaar, British Vogue and Porter magazines.